Welcome to Dave Adair. A professional writer for more than 30 years, Dave lives a remarkable life in Pennsylvania. His family, his job and his hobbies take him to amazing places everyday. 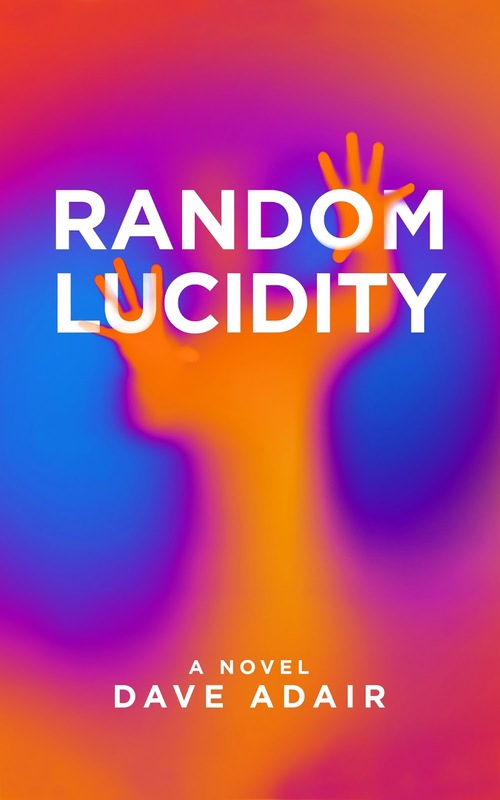 Random Lucidity is his first novel. The Writers’ Lens is about "Bringing fiction into focus." What brings your writing into focus-- the characters, the stories, the love of words For me, it definitely is the characters: the way they interact and the story they tell through their words. There is a banter that exists among the main characters that brings out the types of people they are. Like all of us, they are not one dimensional. They can be fun and sarcastic, or they can be deadly serious and depressed. Some writers like to spend most of their time setting the scene and getting into detailed descriptions of smells and sounds. I present the setting in subtle ways and get back as quickly as possible to the characters. That’s what life is really like. Who has time to take in every bit of your surroundings? I want my characters and my stories to be real. For them to be real, they have to interact in a real way. How do you find time to write and do a demanding job? In real life, I am a health care executive, primarily on the marketing side. So I get to be creative from time to time, but nothing like writing fiction. I make time to write in the evenings. My wife, Rachel, is a school teacher. So she is in bed fairly early, as are my kids that are still at home. If I’m not writing or marketing Random Lucidity at night, then I would probably just be sitting around watching television. That’s no way to spend your time. I used to think I didn’t have time to write until I realized how much time I was wasting on the couch in front of the television, or playing with my phone every night. What do you think readers will like about your book? So far, every bit of feedback I have received has been positive. To be honest, I was terrified the first time I gave my book to my wife to read as a proof. I was equally terrified when I released it. I had no idea what to expect. I thought it was good, but who really knows until someone you don’t know tells you they like it. There has been no greater thrill than the first review I received from a complete stranger saying that she wanted me to write more books. I’m not sure anything else will top that feeling for me regardless of what happens from here on out. How much fact is in your fiction? This is a really popular question among my friends and family. My mother was very scared before she read it because she thought it was going to be about our family! I can tell you she is very relieved. There are very few correlations between these characters and anyone I know in real life. Certainly, the main character, Reggie, has some similarities to me, but not many. Instead of trying to recreate real events and circumstances, I chose to recreate the emotions from situations I have experienced, or those close to me have experienced. This book was based on a line from a Bruce Springsteen song called The River, which goes, “Is a dream a lie if it don’t come true, or is it something worse?” It started with that and ended where it ended. How I was going to get there was unknown to me when I started out. It was quite a rewarding journey. What's the highest compliment someone could make about your writing? Besides genuinely telling me they enjoyed Random Lucidity, the best thing I have heard so far were comparisons to successful writers. I had one reviewer say that my writing was a cross between Carl Hiaasen and Dennis Lehane. I had never read either of those authors, but I plan to soon. If someone spends hours of their time reading what I wrote, all I can really hope for is that they didn’t find it to be a waste of time; that they were entertained and along the way, maybe it made them think a bit about their life and their choices. Maybe it made them think about where they want their life to go from this point forward. If I can entertain people and get them thinking, even just a little bit, about their place in the world, then I’ll be pretty happy. At first glance, Rita Miserly was precisely the type of person Reggie expected to encounter when he first entered into this complex. She was a frightful sight. White roots almost three inches in length chasing her auburn hair steadfastly. A burning cigarette dangled from her lower lip beneath a squinted expression caught somewhere between curiosity and disgust. It was only later that Reggie would realize that his first impression of Rita would be among his most pleasant experiences. The door opened and Reggie steeled himself to jump feet first into a world he knew nothing about. He had walked unarmed into an apartment complex on the bad side of town to discuss the literary career of a special needs patient with someone who looked as though she was transplanted directly from Appalachia by way of an insane asylum. All for the sake of his dream, he thought, and forged ahead. “Hi,” he said to this frightening sight at the opposite side of the door frame. Rita stood, staring at him, the squint including her nose as an unwilling partner as smoke billowed past her thick black eyebrows. She said not a word. Just stared. This must be the place, Reggie chuckled to himself. Like mother, like son. “My name is Reggie Hatcher and I am looking for Jerry’s apartment. Last name starts with an M. Does he live here?” Reggie asked. “Why do you want to know?” Rita snarled back. Rita reached out, grabbed the notebook with a deliberate motion, almost daring Reggie to pull it back, and closed the door. His instincts told him to turn and walk back to his car. The old Reggie would have run away. This Reggie would not. His first few knocks went unanswered. Then, finally getting the point that he wasn’t going to go away, Rita opened the door again. The cigarette was missing, but the same disturbed, squinted expression remained. Apparently it wasn’t the smoke that made her look that way. She just looked that way.